Plastic pollution is one of the most harmful kinds of pollution on our environment. It is harmful because of its poisonous nature to animals and our ecosystems. In 2017, 330,000 pieces of plastic and foam debris were found on only 2,800 kilometers of shoreline alone. We need to lessen its toll on the natural world. 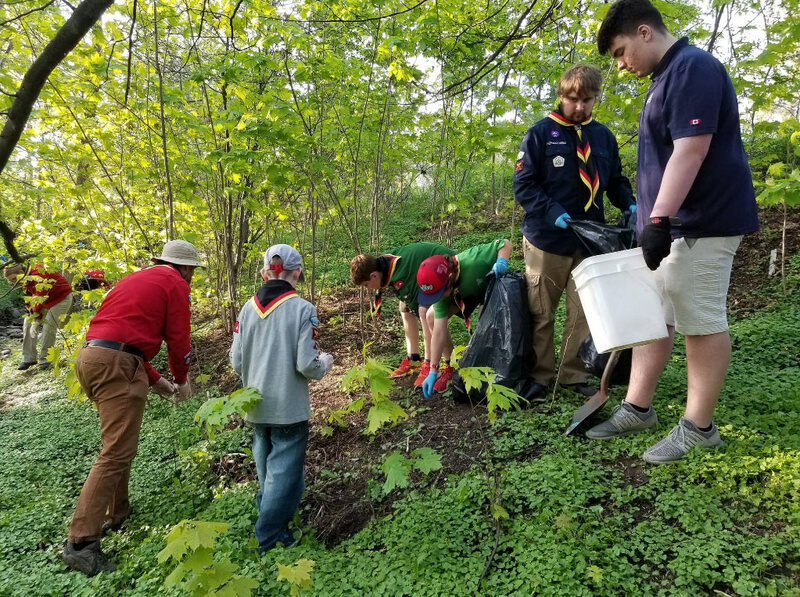 As Scouts, some of the steps we take toward helping the environment the best we can is by avoiding single-use plastics following our leave no trace principles and not contributing to our world’s pollution epidemic. Plastics are dumped in our oceans. According to National Geographic, 8 million tons of plastic are dumped into our oceans each year. The Great Pacific Garbage Patch is a large patch made of microfibres (tiny plastics) that stretches an estimated 1.6 million square kilometers in the Pacific Ocean, an area twice the size of Texas! Although it is not a giant island, it is in some ways worse, as tiny individual plastics easily avoid satellite detection. They poison the area around it, as well as fish and birds often mistaking it for food. The United Nations Ocean Conference has even suggested that by the year 2050, there will be more plastics in our oceans than fish. That needs to change. We need to reduce our use of plastic, or at least use reusable plastic products as a start. Single-use plastics like water bottles end up in landfills and take anywhere from 10 to 1000 years to fully decompose. Sometimes buying water bottles is unavoidable, like in the event of contaminated tap water. That being said, they still impact the environment negatively, so it is recommended that you use them as little as possible. So, bring your own reusable water bottle. If it is necessary to use water bottles, simply reuse them again, as water bottles or as other creative ways like containers or as decoration. Plastic bags, another type of single use plastic, take anywhere from 10-1000 years to decompose. That means that your plastic grocery bags will be on this earth long after you are gone. As a result, you can do one of two things. Either use a reusable bag for your shopping needs or reuse the same bag that you got the first time. The only problem with the latter, is that it is still a plastic bag and tears easily. Reusable bags are far more durable, so this is strongly recommended. This way plastics, like bags, won’t go into our landfills or into our oceans. Some plastics are recyclable, but it’s important to know which are and which aren’t. There are 7 different types of plastics, all of which—with the exception of #6 plastics like Styrofoam, can be recycled (#6 plastics must be put in the garbage, or better, avoided). One might think that since plastic bags can be recycled, it’s still okay to use them right? The fact of the matter is that loose plastic bags have a tendency to fly out of sanitation vehicles due to how light they are. They are even known to snag conveyor belts and sorting machines, stopping the whole recycling process. As such, while they can be recycled, they still have a negative impact anyway. Being aware of the dangers of plastic is key to being environmentally sustainable. As Scouts it is our responsibility to help the planet. We pride ourselves in being environmentally friendly in everything we do as Scouts. Our leave no trace policy makes sure that we don’t litter, and our countless cleanups help to ease the mistakes of others, but there is still more to do. That means making sure that we use as little plastic as possible, thus helping to stop our planet’s pollution epidemic. Little steps can be taken and they are not hard to follow. An example is the Great Canadian Shoreline Cleanup, which many Scouting groups participate in, where groups not only participate in cleaning up Canadian shorelines, but learn about the dangers of single use plastics while doing so. If everyone were to stop using single use plastics, it would end our plastic epidemic and so push the world toward a cleaner environment. As Scouts it is our job to lead that push in the right direction.